Tomahawk Bicycles with a prestigious history of over twenty years in the world of bicycles, introduces a range of attractive bicycle models for the festive season. Black X, Mack X, Lenox and Folding bicycles are among the models introduced. Tomahawk Bicycles suitable for children as well as adults, makes the bicycle journey a pleasure and adds new excitement to it. 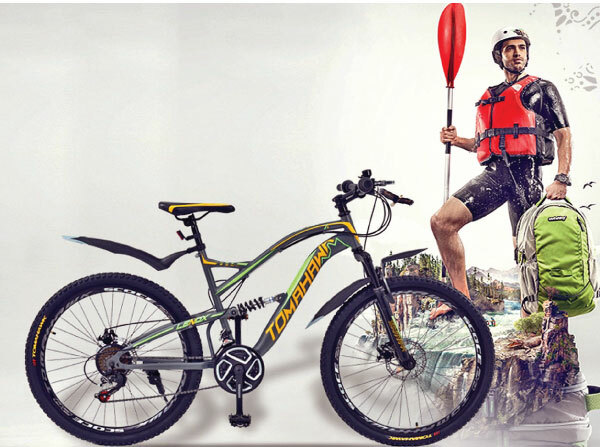 Ever since the introduction of the Tomahawk Bicycle into Sri Lankan twenty years ago, it has been a revolutionary change to the bicycle market. Tomahawk Bicycles has become the trusted name as an ideal bicycle brand for men, women, children and even sports. The range of Tomahawk Bicycles presents one that greatly benefits the strong youth of the country. Mack X and Black X are ideal for children above the age of 10 while the Lenox bicycle has been introduced to children of 16 years. These bicycles, which are all mountain bicycles come packed with a double disc brake system as well as an eighteen-speed gear system. The bicycle frame comes with a warranty of 11 years. Tomahawk Bicycles which has been a leading retailer of bicycles in Sri Lanka has also commenced the Sujaya Scholarship scheme to aid the education of children.